Kentucky is suing Walgreens, claiming the pharmacy played a role in the state's opioid crisis. The state's Attorney General Andy Beshear says that the retailer, which sells opioids through its pharmacies, used "unlawful business practices" to fuel the epidemic in Kentucky. Thursday's complaint, filed in Boone County, claims that for more than 10 years, Walgreens (WBA) filled "massive" and "suspicious" orders of opioids and failed to report them to authorities or put a stop to the shipments. Beshear wants Walgreens to stop "over-dispensing opioids" and "filling suspicious orders." He also wants the company to pay back the amount it earned from the allegedly illegal gains. Walgreens declined to comment on the pending litigation. Beshear said in a statement on Thursday that Walgreens has "significantly harmed the health of our families in fueling the opioid epidemic." He has filed a number of lawsuits over the state's health crisis. 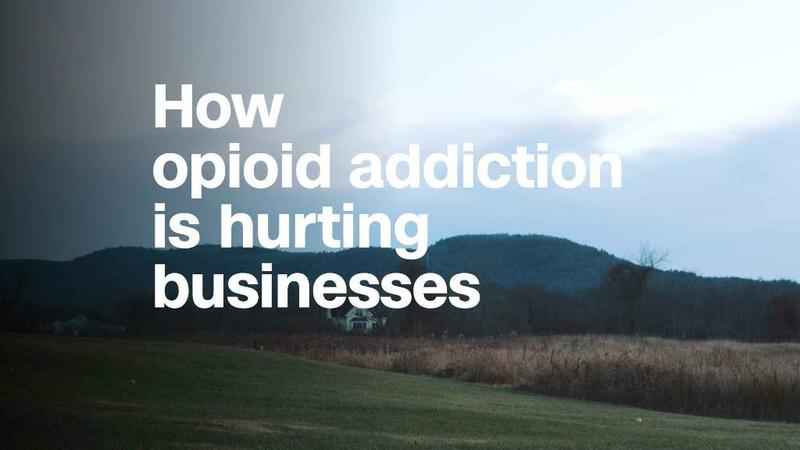 This year, he sued drug maker Johnson & Johnson (JNJ) as well as opioid distributors AmerisourceBergen (ABC), Cardinal Health (CAH) and McKesson Corporation (MCK) over their alleged roles in Kentucky's epidemic. The Centers for Disease Control and Prevention found that in 2016, more than 42,000 people died of opioid overdoses. Kentucky has been hit particularly hard. "I want to make sure these billion dollar companies take responsibility and become a part of the solution," Beshear added. Other companies have tried to stem the crisis by strengthening its policies and making it easier to destroy leftover pills. In January, Walmart (WMT) introduced a way to safely destroy leftover opioids at home. And last moth the company announced that it is limiting the duration of opioid prescriptions and requiring that they be filled electronically. The new restrictions follow recommendations from the CDC. CVS Caremark, the prescription benefit manager for CVS (CVS), began capping first-time prescriptions at seven days in February. And Purdue Pharma, which makes the opioid OxyContin, said in February that it will stop promoting the addictive painkiller to doctors. Kentucky's lawsuit follows similar actions by other groups. Delaware sued CVS, Walgreens and others over opioids in January. Last month, Florida's attorney general filed a suit against several drug makers and distributors. The Cherokee Nation filed a similar suit in April.